Want to practice your piecing and quilting skills? 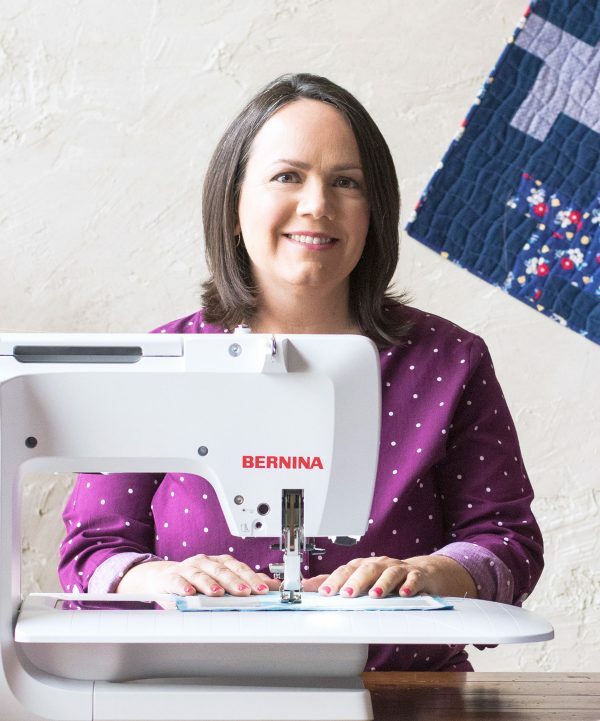 Join BERNINA ambassador and domestic machine quilting expert Christa Watson as she walks you step-by-step through the process of making a quilt from start to finish. 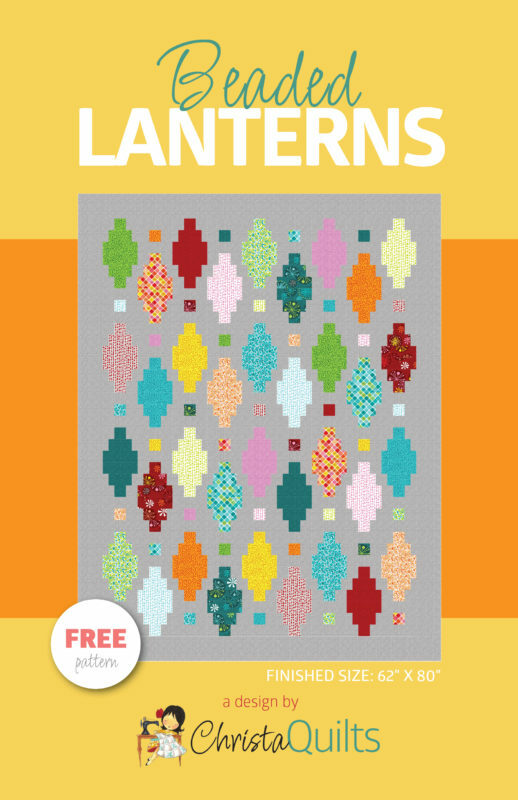 The quilt along kicks off the week of September 10, 2018 and will feature a fun, free pattern Christa designed called Beaded Lanterns. 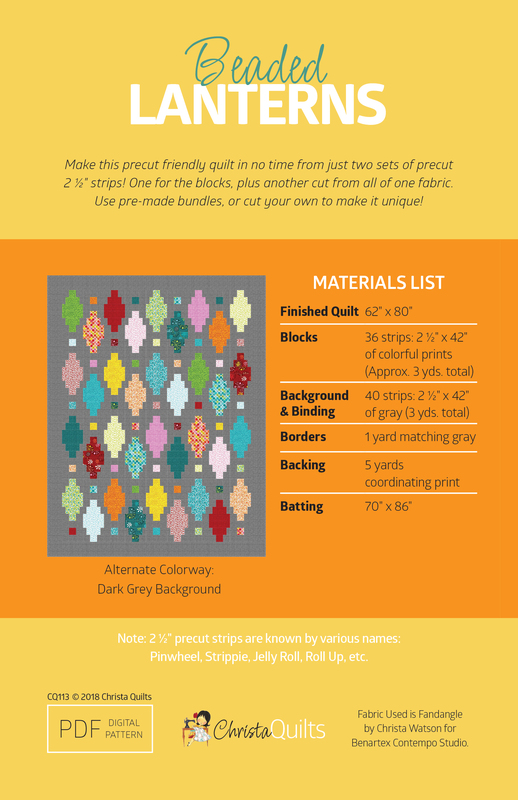 It’s a striking quilt with a modern vibe made from precut 2 1/2″ strips. Christa will be making her version using her latest fabric line, Fandangle from Benartex Contempo Studio. Fandangle means excess embellishment or ornamentation, a tongue-in-cheek nod to the fact that Christa prefers to embellish her quilts with fabric and thread, rather than baubles and bling. Beaded Lanterns will look fabulous in any fabrics you choose; the key to the success of this design is the contrast between the prints and the solid or tone-on-tone background. Be sure to download the free PDF pattern (courtesy of Benartex), gather your fabrics, and meet back here in a few weeks to get started! If you’d like to share your progress on social media, use the hashtag #beadedlanternsqal. It’s going to be “sew” much fun! 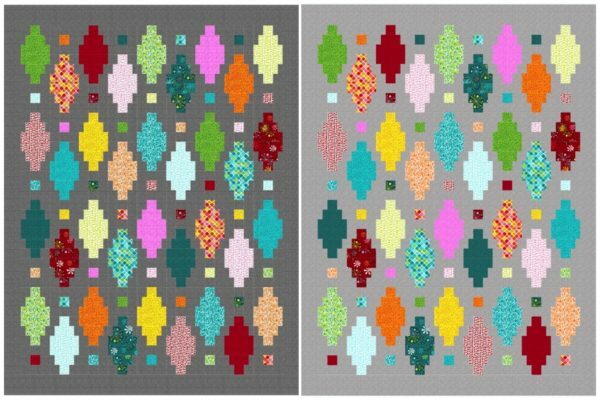 If you choose to make the quilt as shown, you’ll need one Strip-pie of Fandangle fabric plus 4 yards of gray for the background. The precut strips will look fabulous with either the dark or lighter gray for the background. The Beaded Lanterns Quilt Along will run for a total of six consecutive weeks, giving everyone plenty of time to follow along and complete their quilts at their own pace. So save the date: the fun begins on Wednesday, September 12th! So how do we sign up? Or do we just follow along? Yep – just follow along here as the posts are shared. These quilt-alongs are super fun! I love this! Plan to join in September 10th! Fantastic! It’s going to be super fun! Is the fabric you’re using available to buy? Looking forward to September 10. Marked my Calendar so l won’t forget. Thank you! Fantastic – I can’t wait! Can’t wait – beautiful pattern! Thank you. Thank you! It’s been fun to design and make! The nice thing about this Quilt Along is that it will stay up indefinitely. So you can work on it whenever you have the free time. Well, this is my first time and I am a beginner quilter. I’ve downloaded the pattern and bought all the fabric. Looking forward to a fun way to make a quilt!!! Wonderful! I’m glad you will be joining us. Will there be video or only postings of steps? Did this start at 10 am. Or does it just come as part of an email? Where do we follow this quilt along? Part I of Christa Watson’s quilt-along will post on Wednesday, September 12, 2018. Today is the 10th and I do not see where this is being started. Can you help tell me where to look? Part I of Christa Watson’s quilt-along will post September 12th here on WeAllSew. Can I download the individual weeks’ information including the fabric requirements? 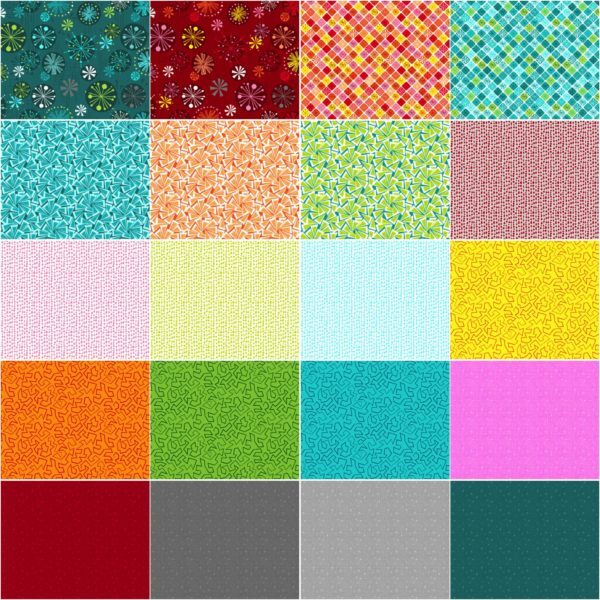 Our WeAllSew blog content is posted in an open format. If you wish to print the post, you can easily print your tutorials from the WeAllSew blog. If you attempt to print directly from the screen a pdf will be generated for your convenience. Please give it a try.